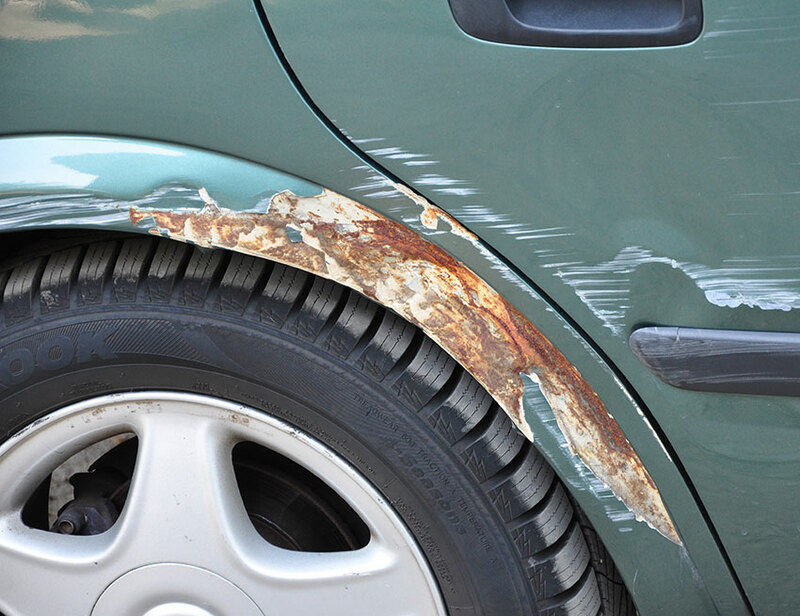 Your vehicle’s fender usually incurs some damage in the event of an accident. The fender was created to protect your vehicle’s wheels while preventing them from spraying water and mud. Since during a collision you sometimes collide with either the car next to you or an inanimate structure, the fender sticks out to protect the wheels and sometimes the body of the car since it protrudes out. So it is typical that you may find yourself in need of a fender repair. Tucker’s Collision Center is the place to take your vehicle in for fender repair. No matter if you have a sports car, sedan, truck, SUV, or cargo van Tucker’s has extensive knowledge with over 20 years experience in body work and over 40 years in car restoration. We enjoy helping our neighbors in the Las Vegas Valley bring their fenders back to life after an accident. What is My Fender Made Of? Your fender is typically made of either sheet metal, fiberglass, or sometimes plastics and can be repaired with the right equipment and trained professionals. In the Las Vegas Valley there is no better place to bring in your vehicle, we have advanced equipment and know-how to get every component, including your fender back to pre-accident or better condition. It is essential that all body work repair be done correctly if not those parts might malfunction or not perform as they should to safely protect those in the vehicle. After the fender is repaired, our paint team gets to work with their computerized paint color matching system. We make sure that every detail of your car’s collision repair is completed to perfection, and the paint color too is spot-on matched. Get a free quote to repair your fender online or stop by our convenient Las Vegas Valley location west off of I-15 for those in the Las Vegas, Spring Valley, Paradise, or Henderson area. We will take a look at your fender and let you know the quote and timeline for repairs. Check out our “Tucker’s Warranty” many of our services and repairs are covered by a Lifetime Written Warranty because we believe in a job done right the first time and stand by our performance. If you have been in an accident of any kind, but also one that includes fender work, there is no better choice than Tucker’s Collision. We look forward to earning your business!